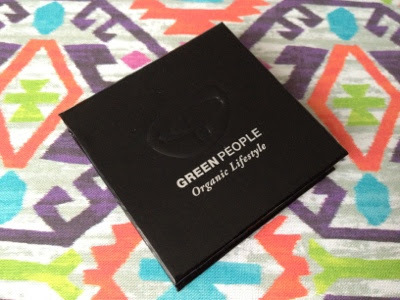 Until now, the only products I'd tried from Green People were from their skincare and hair ranges. 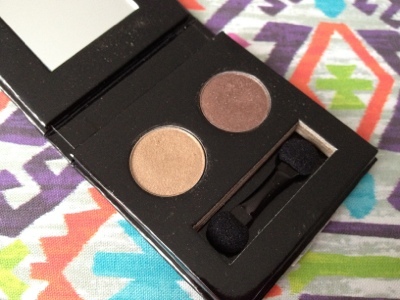 I was really excited to receive one of their new mineral eye shadows duos to try and had high hopes given my love for their other products. The eye shadow duos are part of a new range of talc-free, mineral makeup, recently launched by Green People. They're certified organic and come in three colourways - Night Forest, City Sky and Royal Tea. I was sent the set Night Forest*, which contains two shades of brown - Tawny Owl and Mink Brown. 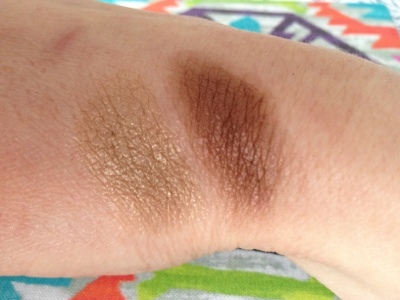 Both of the shadows are super soft and have good pigmentation. 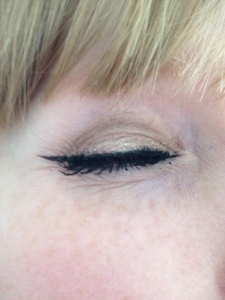 They blend really nicely, and together create a soft brown smokey eye. They also work nicely alone, although I prefer the darker of the two for this. There's a little bit of fallout with these shadows, but nothing major. Wear time is around 7-8 hours without a primer, which is pretty good, but they do start fading after this. The packaging is pretty simple, and closes with a magnetic fastening. They've chosen to include a little sponge applicator with each shadow set, which whilst I won't use this for my daily application, could come in useful for a quick top-up during the day. The duos retail at £17.50, which is a little pricey, but when you consider the fact that they're organic and contain no nasty fillers, definitely balances out the cost for me. What are your thoughts on mineral makeup? Would you try these Green People Shadows?